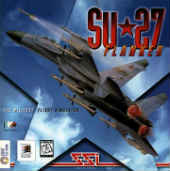 SU-27 is a deep, challenging and extremely accurate sim starring one of Russia's premiere fighters in a variety of missions setted on Crimea (just below Ukraine). Disregarding graphics and presentation, the game puts the emphasis on a very solid flying model and the possibility to create your own missions or edit the existing ones using a simple yet powerful scenario creator. Squadron Commander's Edition was a 1997 special edition/compilation of the groundbreaking air combat simulator v1.5 and its add-on mission pack which includes 150+ additional missions, plus an improved mission editor, enhanced AI, a new strategic AWACS view function, and a freeware random mission generator.